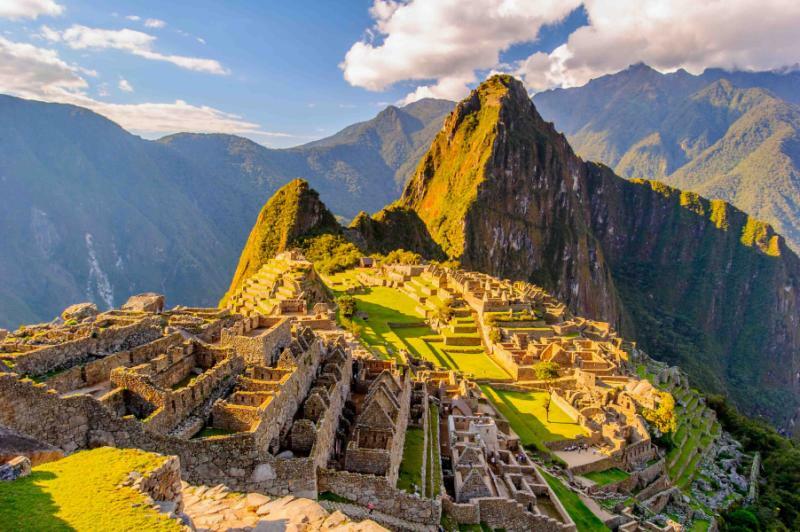 The Andes Mountains can satisfy the most ardent adventurer during your personalized Peru tour hiking the secluded Choquequirao to Machu Picchu trail. Snowy peaks roll across the sky, and the altiplano resembles a lunar landscape. Vicunas graze on tufts of grass at high altitudes, and villagers grow corn and quinoa on hidden ridges rarely visited by outsiders. 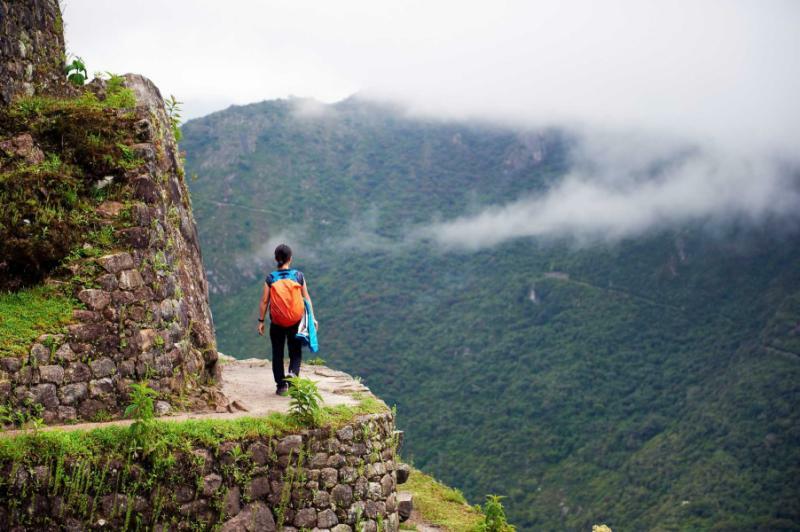 The forgotten beauty of the Choquequirao ruins charm and delight as a predecessor to your time at Machu Picchu. 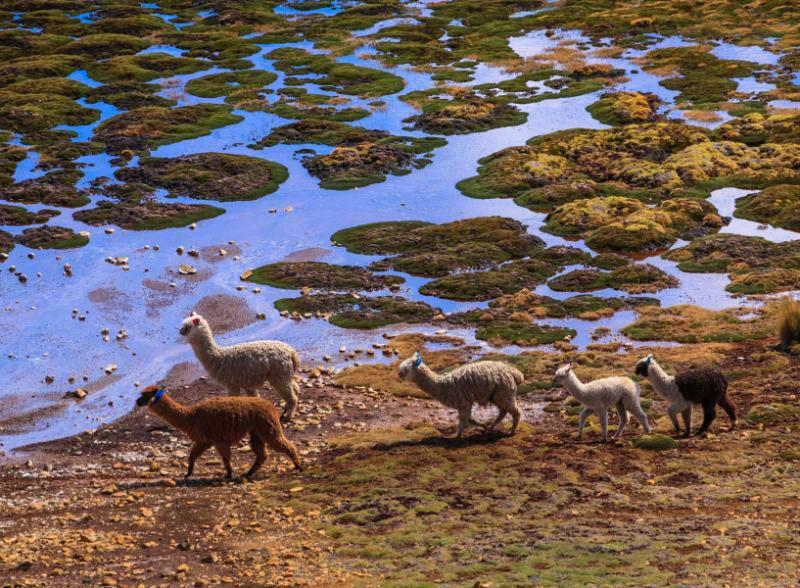 Follow the trails of the chaskis, ancient Inca messengers who collectively traveled more than 140 miles per day, and experience the pure landscape and untouched history of the Andes. 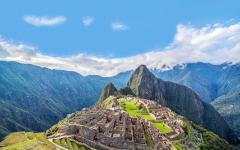 Experience the trek of a lifetime, following in the footsteps of the Inca on an unforgettable 10-day Peru tour. 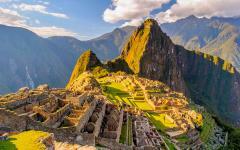 The mountain passes and plunging valleys create a memorable landscape leading to the last refuge of the Inca. Villages hide amidst the winding ridges, and the water rolls over the boulders in the rivers below. The journey begins with your arrival in Cusco where your private transfer welcomes you to Peru and escorts you to a luxurious hotel for you to settle into the thin atmosphere of the high altitude. 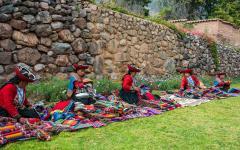 You have time in the evening to walk around and enjoy the capital of the Inca as you prepare for the following day. 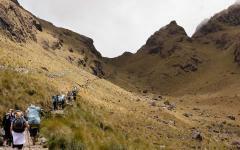 Your guide leads you along the mountainous terrain that rises and falls around the 11,000-feet at which Cusco is positioned, and you take in the unique scenery that combines arid grasslands, craggy slopes, and flooding waterways. During this fascinating expedition, you will travel more than 50 miles and reach an altitude of 15,000 feet above sea level to uncover the forgotten ruins of Choquequirao and the celebrated plateau complex of Machu Picchu. 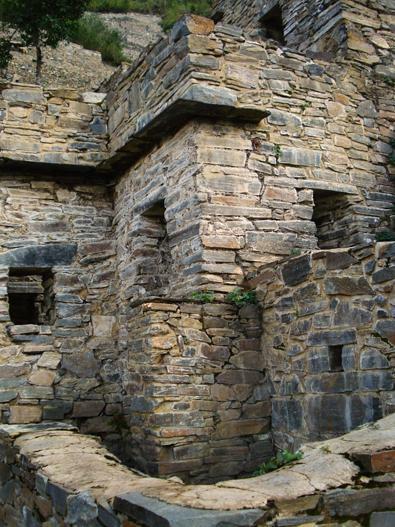 The ruins at Choquequirao offer insight into the last stronghold of the Inca after the Spanish arrival, decorated with stone structures and hidden llamas. 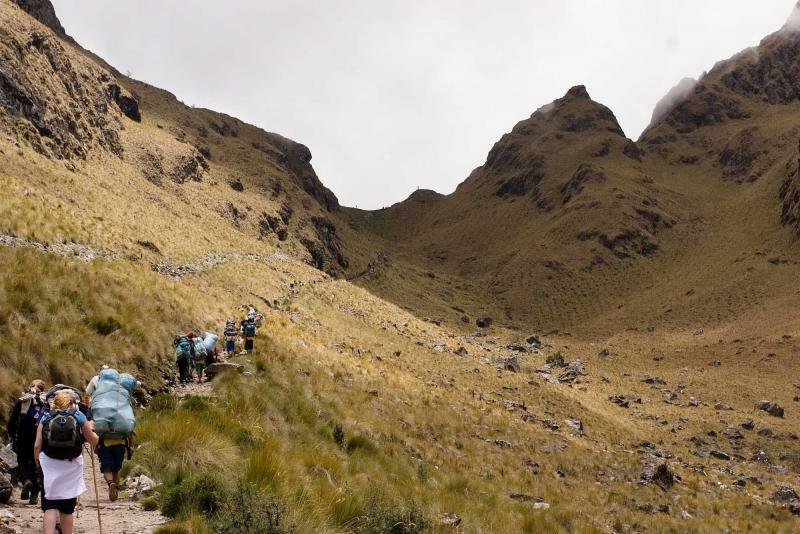 The pathway connects the Inca Trail near the end, leading you through the region of Vilcabamba. Enjoy the thrilling change in landscape from the high-altitude plains to the lush rainforest spreading across the lowlands of the Sacred Valley. 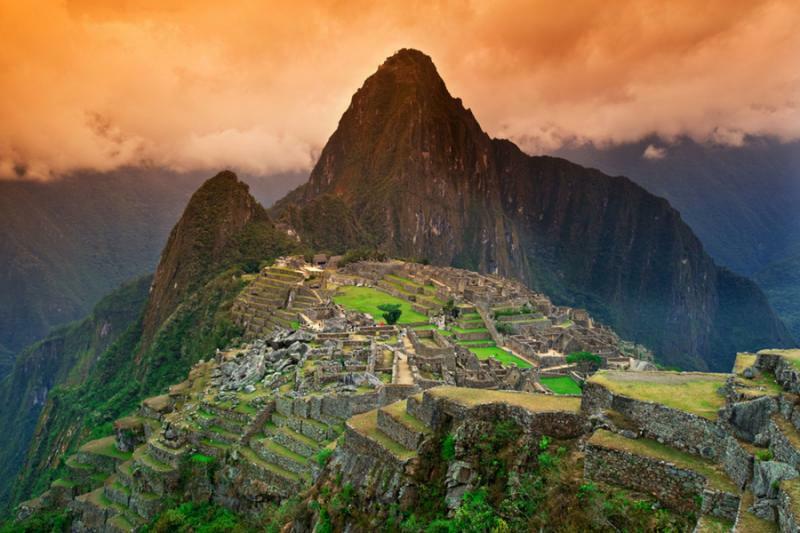 Your guide provides an encompassing tour of Machu Picchu, immersing you in the historical structures and majestic ambiance surrounded by the familiar image of powerful summits. You return to Cusco by train, using the remainder of your time in the fascinating city to enjoy the colonial architecture, cosmopolitan culture, and comforts of your luxury hotel welcoming you back from the trails. 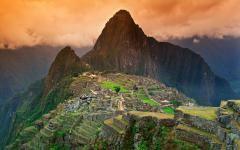 Consider browsing our Peru tours page to gain further inspiration on planning your own Peru tour. 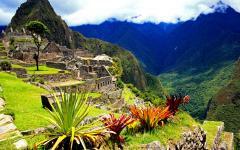 The city of Cusco creates a marvelous ambiance at an elevation of over 11,000 feet above sea level. Spanish Colonial churches stand atop strong foundations set by the Inca and the boulder walls of Sacsayhuaman remain strong on the hill overlooking the city. The black and gray colors of the ruin’s stones shimmer in the passing sunlight surrounding by the rolling peaks of the Andes Mountains. 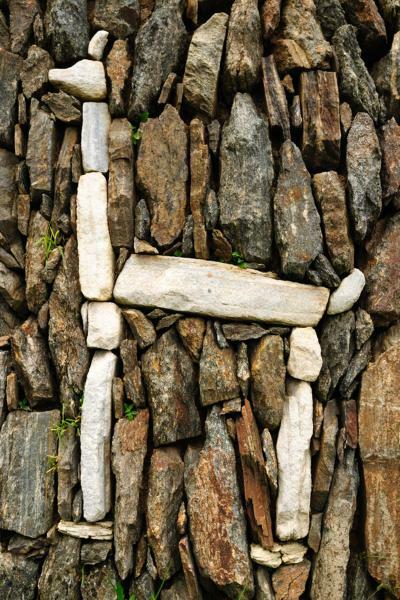 The Inca crafted the boulders like puzzle pieces, fitting each stone together without the need for mortar, and the snug positioning keeps objects as thin as a blade of grass from entering between the stones. Your flight lands at Alejandro Velasco Astete International Airport, where your private transfer greets you upon arrival. Cusco offers a captivating atmosphere shaped by the cobblestone streets, tiled rooftops, and urban sprawl winding along the bordering slopes. The Central Market is filled with the aromas of fresh popcorn and simmering chicken soup. Produce, such as purple corn and a variety of potatoes line the aisles against large bags of quinoa and beans. 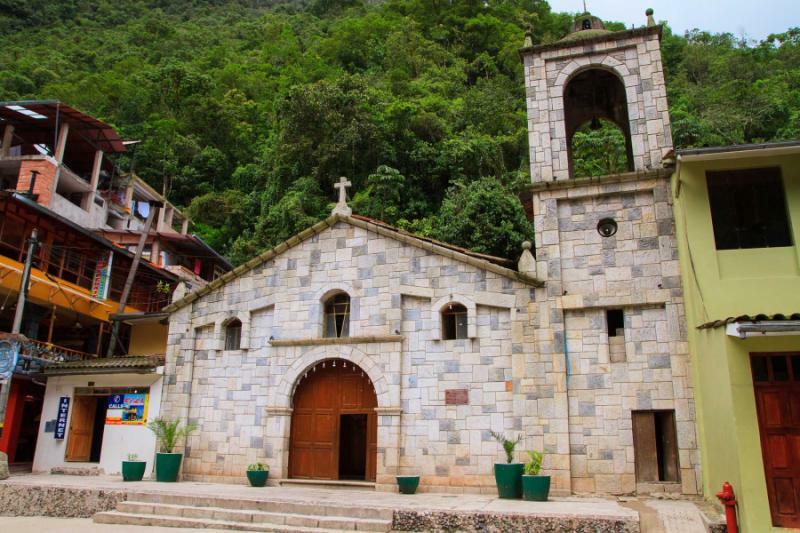 The church of La Compania de Jesus was erected in the 16th century and rebuilt after an earthquake in the mid-1600’s. The church boasts a grand facade competing with the beauty of the crowning cathedral in the Plaza de Armas. The baroque design of the exterior gives way to the magnificent gold altarpiece of the interior, which hosts a series of shimmering polychrome statues. 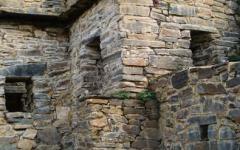 The structure was erected on the foundations of the Huayna Capac Palace, home to the last ruler of the Inca Empire. 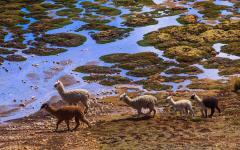 Consider reading some of our travelers' Peru vacation reviews for more information on this exhilarating tour. You wake before sunrise amongst the quiet streets of Cusco. Vendors are already heading to the Central Market with their wares and baskets containing cherimoya, Peruvian lime, and camu camu. The pale golden light shines over the trickling fountain at the heart of the Plaza de Armas. The fashionable cafes in the San Blas district open their doors to the aromas of decadent coffee and chocolate. 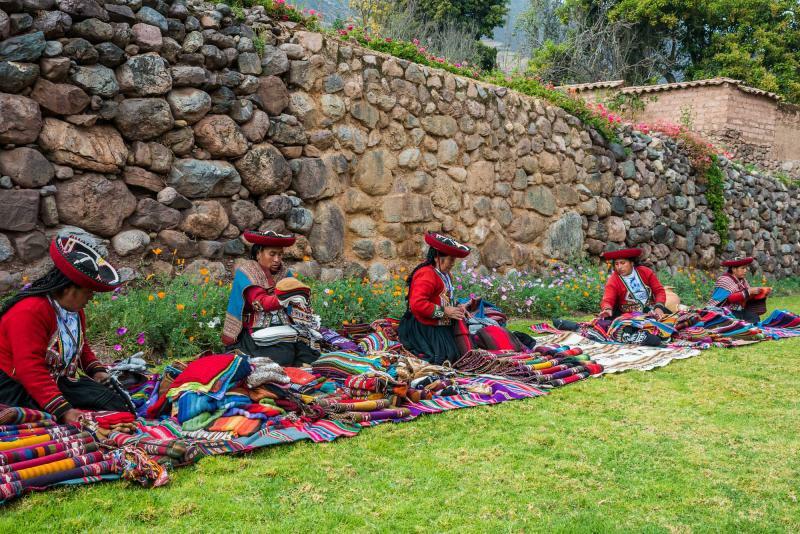 Your private transfer escorts you out of Cusco and along the winding roads of the Sacred Valley to reach the trailhead past the village of Cachora as snowcapped peaks shape the dramatic skyline edging the Apurimac Canyon. 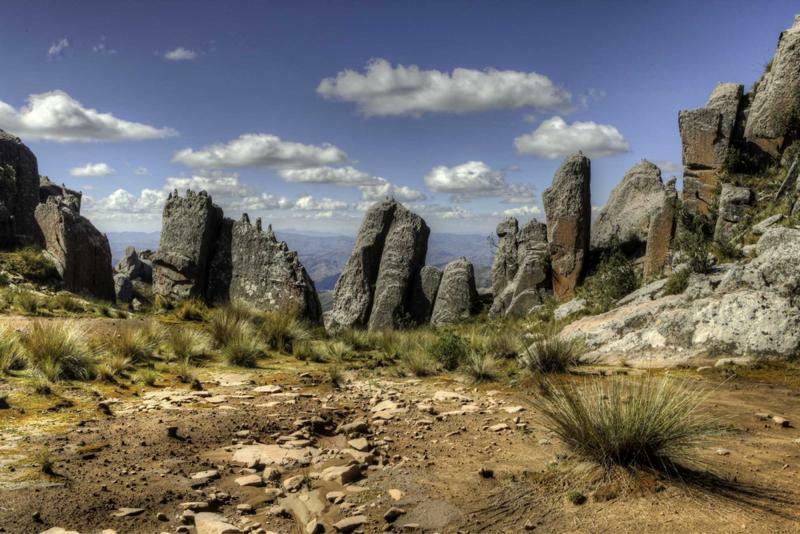 You feel a noticeable difference in the atmosphere, having descended from over 11,000 feet in Cusco to less than 9,600 feet while overlooking the Apurimac Valley. The fresh, crisp air contains an herbaceous aroma as the marked trail winds down the slopes into the valley, leading you down to just over 6,000 feet above sea level. You brush your fingers along the tall blades of soft, wet grass, leading you over nine miles. The high-altitude grasses around the trail give way to the blossoming flowers budding along the edges of the stream. 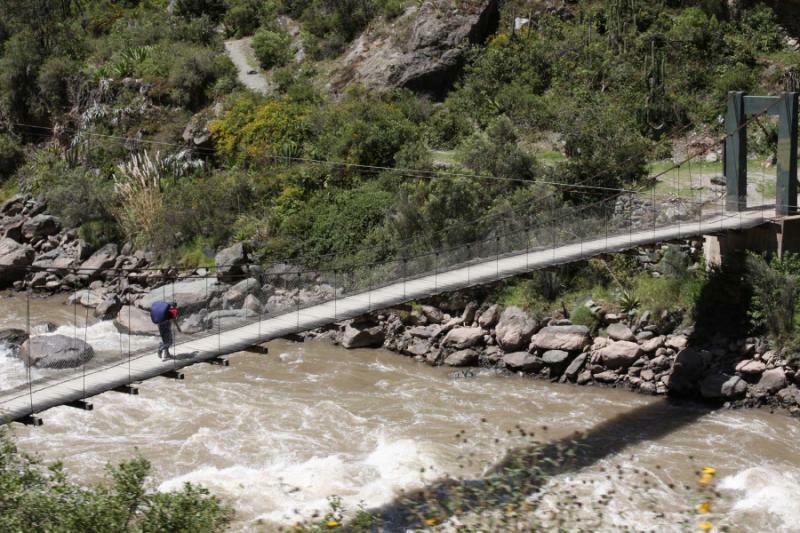 The cold water leads down to the Apurimac River, which shines indigo against the mixture of gray, tan, and green from the rugged canyon walls and grasses. You start with an early breakfast, finding the aroma of coffee refreshing in the cool canyon air, and you snack on pancakes and sweet pepino, which tastes similar to honeydew. After the meal, you take to the trail, ascending the hillside to Marapata at over 10,000 feet. The atmosphere begins to thin once more due to the high elevation, making the steep climb an exciting challenge and the rigorous adventure leads you to the incredible ruins at Choquequirao, of which only 30 percent have been excavated. Orchids blossom alongside the trail, their purple, white, and yellow petals bouncing in the gentle breeze. Gigantic terraces continue to texture the hills beneath the ruins where the Inca tended to crops. 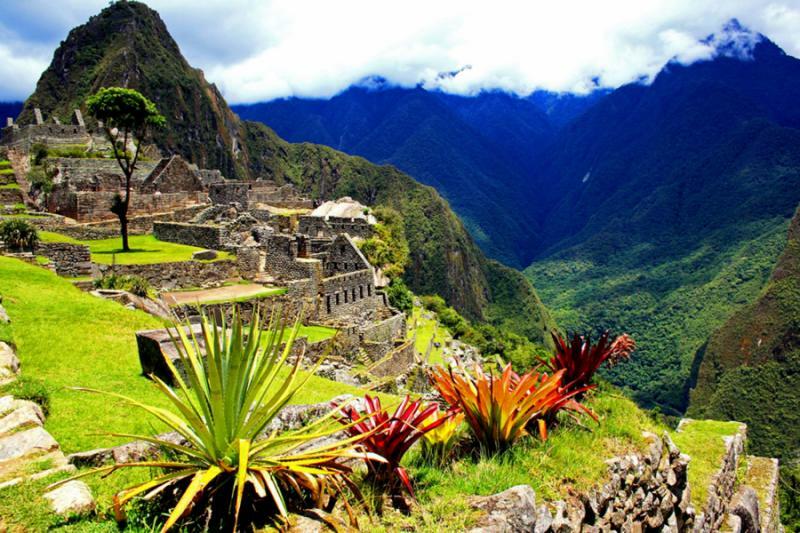 The hidden city is often referred to as the “Sister to Machu Picchu,” due to its overlooked nature and secluded location. Wild vegetation surrounds the unearthed ruins and irrigation channels, filling the air with a musky aroma. The main structures have thick stone walls spanning the terraces. Five structures in total reflect the temple, plaza, and warehouses utilized by the community and the priests. The distinctive sections across the hidden city demonstrate the divisions between social and religious life, leading to the 16 ceremonial platforms in Sector II. This morning, you once again wake early, eager to get started on the trail. You sip a refreshing hot chocolate, enjoying the rich flavor and creamy texture of the beverage made from a Peruvian recipe. Your guide leads the way along the impressive views of the irrigation channels rushing around the slopes of Apurimac Canyon. Today you have a long jaunt over the course of nearly 10 miles, and you pass through the ruins at Pinchinuyoc comparing the similarities in the architecture and terrace designs to the ruins a Choquequirao. You descend into the valley where the waters of the Rio Blanco rush alongside the riverbanks creating a mist of whitewater along the smooth, protruding boulders and rocks. The challenge of the trail begins at Maizal, where the mountains border the deep valley on three sides. Houses on the little farm have stone walls and thatched roofs, the corn thrives in the high-altitude climate, and alpacas, pigs, and goats roam and farmland beneath the edges of the forest. Chickens cluck and a rooster protects the henhouse nearly 9,850 feet above Rio Blanco. Rugged rocks border the trail and shine gray and green with overhanging grass and smatterings of moss. The more you ascend, the more challenging the trail and the craggier the landscape. Slopes of loose stones resemble the surface of another planet and lead to the peaks of the mountain ridges. 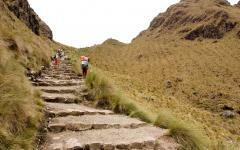 You take one step at a time eventually reaching the top at more than 13,600 feet above sea level. Outside your tent, the early morning cold bites at your cheeks and the thinner atmosphere at 13,550 feet above sea level provides a unique perspective on the world at sunrise. You look back down the pass from the direction you came noticing the switchback trail, undulating slopes, and mixture of grass and rocks. You relish the news of having to hike only a little over seven miles to your next campsite, stopping first in the village of Yanama. Until recently, no roads existed in the Yanama Valley, and horses or mules had to bring all materials and goods over the mountainous landscape and into this pastoral scene. You marvel at the snow-capped peaks piercing the sky and find lush lupines growing purple and yellow along the edge of the mountain ridges. Thin layers of grass return to the slopes and spill down the textured ridges beneath the snow-white summits. 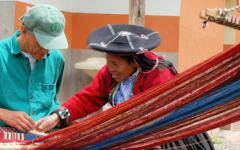 Two hundred families reside in the valley and make their living as farmers. Chickens and roosters cluck around their open pens, and Easter lilies and poppies blossom with bright yellow and orange petals. 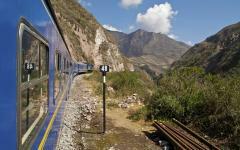 You turn away from the Yanama Pass and make your way closer to Machu Picchu by reaching the Vilcabamba region. At breakfast, you savor the sweetness of Peruvian cherries and mulberries, and your coffee gives you an extra morning boost. 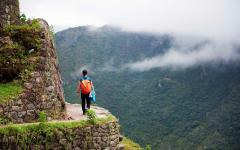 You guide explains that you will travel nine miles along the perfectly preserved Inca Trail passing through Vilcabamba. The mountains border the lush valley floor creating a dramatic panoramic view as you embark on a challenging ascent to cross Abra de Choquetacarpo, a pass reaching over 15,000 feet above sea level. Your heart pounds rapidly and you take slow, deep breaths as the tall stone steps hug the mountainside. You touch the wall and notice the rough, porous rocks protruding over the steps and sporadic tufts of grass. 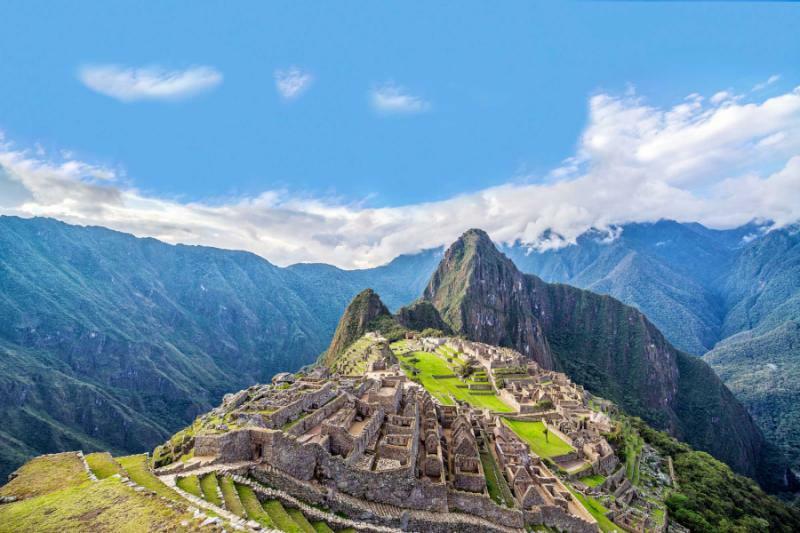 You follow in the footsteps of the Inca engineers who crafted the unique trails and stunning architecture molded by the unbelievable landscape. The river rumbles down the narrow crevices between the mountains and the ridges wind like a labyrinth and block the horizon. 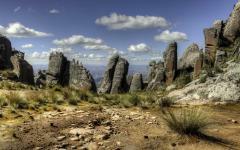 You reach the top and relish the reward of hot chocolate and cookies while indulging in the spectacular view. Small Inca dwellings overlook the steep ascent into the valley, continuing to inspire visitors from around the world with the ways this civilization could craft such intricate edifices in such remote places. You feel a sense of relief and accomplishment when you wake. The sunlight washes over the surrounding mountains and serene campgrounds and the cool air feels welcoming amidst the gentle slopes and crowning peaks. Exhilaration courses through you as you descend the trail to an altitude of 9,500 feet, taking deep, pleasurable breaths as you walk. You reach your campgrounds while moving at a moderate pace, continuing into the surrounding landscape to reach the ruins of Vitcos-Rosaspata. The large archeological site was rediscovered in the early 20th century by researchers searching for the last capital of the Incas and is now bordered by contemporary villages. The principal portion of the city overtakes the entire hillside leading down into the valley along the south and east. The palace crowns the group of two buildings at the top of the plateau with eight large rooms separated from the community by an outer wall. The wall contains doors and passageways between the rooms, which are divided into pairs. Your guide leads you through the meetinghouses, storehouses, and along the religious observation platform winding down the terraces. In the morning, you eat breakfast and watch the piglets roaming through the remote village of Huancacalle. You have grown familiar with the clucking chickens and calling rooster. The welcoming scent of pancakes and coffee drift through the air. 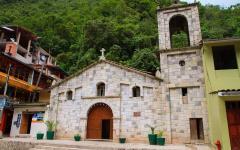 After the meal, you can take a deep breath as you board a private car bound for the streets of Santa Teresa. The remote mountain road winds along the narrow edges of the mountain ridge and banana trees grow with bushels of fruit dangling from above. The driver keeps a slow, steady pace but after days of walking on rugged trails, even the slowest ride feels fast. The landscape changes from sensational mountain peaks to jungle terrain as you descend several thousand feet. Tea and coffee plants spread across the lush ridges and the canyon walls lead down into the Vilcanota River, which travels 450 miles after connecting to the Urubamba River. 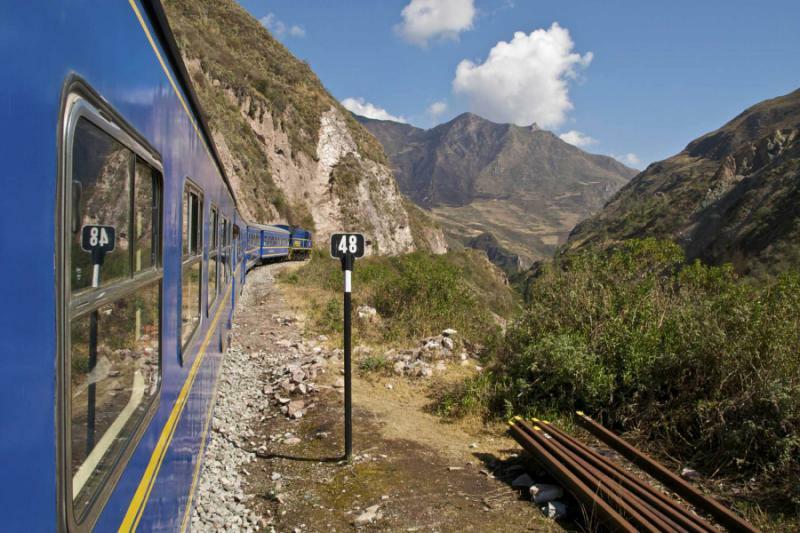 You board the train bound for the town of Aguas Calientes where you find quiet streets and colorful facades sitting at the base of the mountain out of which Machu Picchu rises. The comfortable ride travels through the tropical forest where orchids blossom in the warm humidity swirling beneath the canopy. 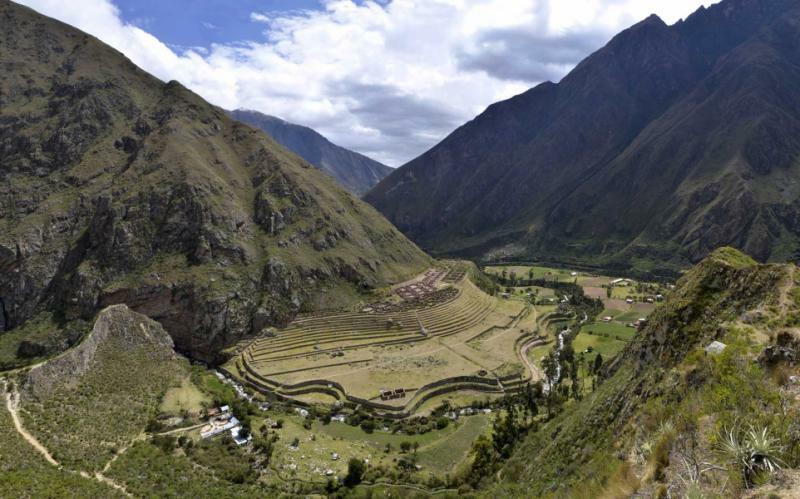 You travel along the remarkable switchbacks leading up the mountainside and out of the Sacred Valley, pulling into the station within reach of the hidden Inca city. You once again rise before dawn, this time taking the tram shuttling visitors between the train station and the entrance to Machu Picchu Archeological Park. 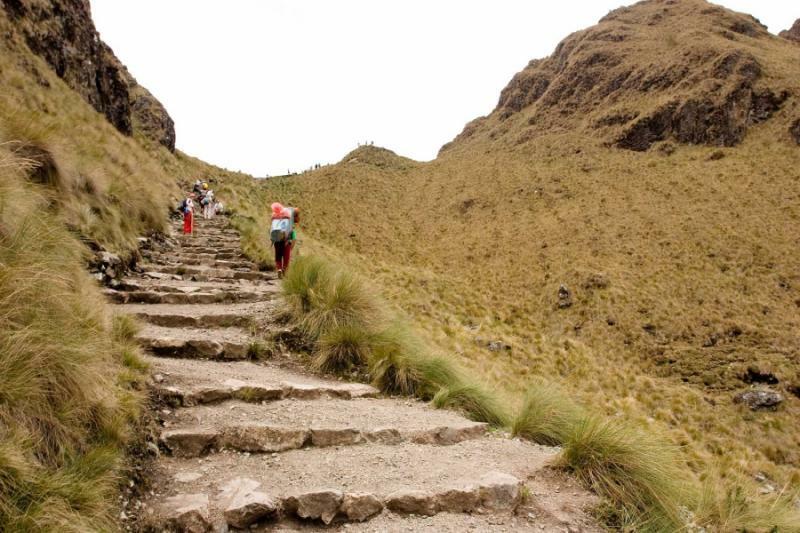 The stairs lead to the top of the plateau where you have the first full glimpse of the remarkable icon of Peru. The terraces the slopes of the hillside, hovering over the winding Urubamba River. The cold air nips at your nose at this altitude of nearly 8,000 feet above sea level and the peak of Huayna Picchu hovers above the city in the background. Before the sun fully rises over the surrounding hills, your guide leads you on the tail end of the Inca Trail to reach the Sun Gate, also known as Intipunku. You can look back over the old peak for a panoramic view of the historical structures and terraces. Back at the heart of the city, your guide leads you on an exceptional tour traversing the various temples, homes, and plazas ambling up the mountainside. Above the ceremonial baths stands the Sacred Plaza. A curved wall frames the viewing platform where you can take in the panorama of the rolling snow-capped peaks of the Cordillera Vilcabamba, reminding you of the long journey you made to reach the fascinating city. After returning to the city set at 11,000 feet above sea level, you feel well-equipped to enjoy the beauty of the Inca capital city. The sunlight washes over the cobbled streets and brings the familiar aroma of grilling corn and fresh coffee drifting from the cafes and Central Market. At breakfast, you sample the delicious tumbo, a treat that is in the passionfruit family and shares a similar tart-sweetness. Before your flight, you take the opportunity to visit Coricancha, the Temple of the Sun. 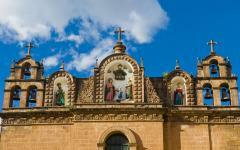 The former religious center for the Inca priests was framed in gold, and now supports the church of Santo Domingo. 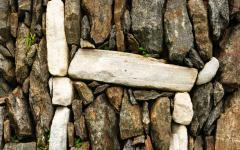 The Inca stonework continues to impress visitors with a supportive wall reaching nearly six feet tall. The Spanish conquistadors stripped the religious center of the gold and the priests transformed the grounds into a Christian holy center to help convert locals. Your private transfer greets you in the hotel lobby when you are ready and escorts you to Alejandro Velasco Astete International Airport for your flight home.